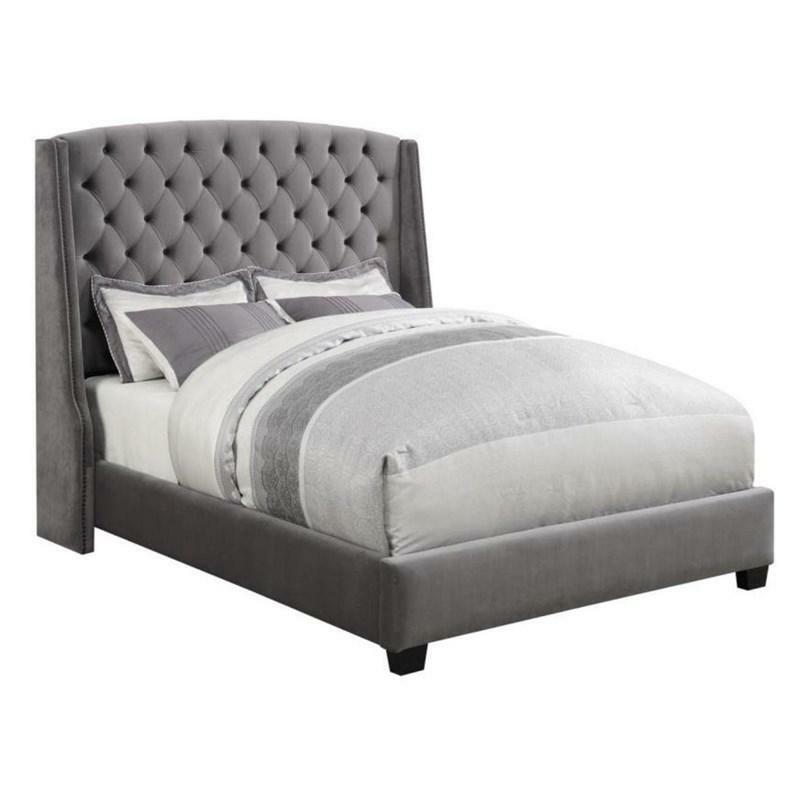 Add a touch of sophistication with this beautiful wingback bed. Upholstered in grey velvet with a button-tufted headboard and individual bronze nailhead trim, and solid wood turned legs finished in cappuccino, this set is both majestic and charming. Volume 20.43 cu. ft. / 0.58 cu. m.